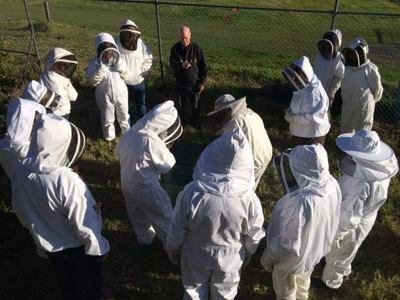 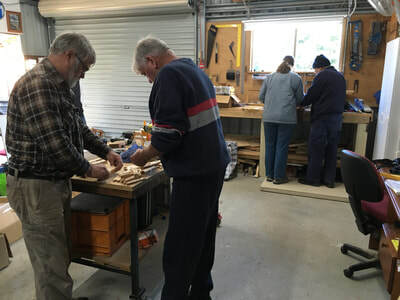 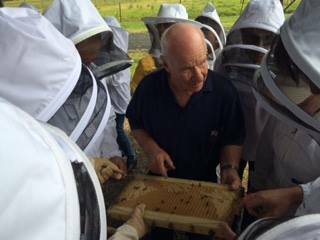 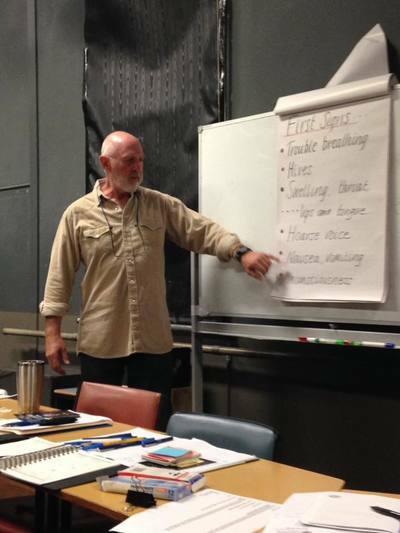 Dave West (Illawarra Bees) delivers a hands on workshop at Mountain Ridge Winery (Shoalhaven Heads) up to twice a year. 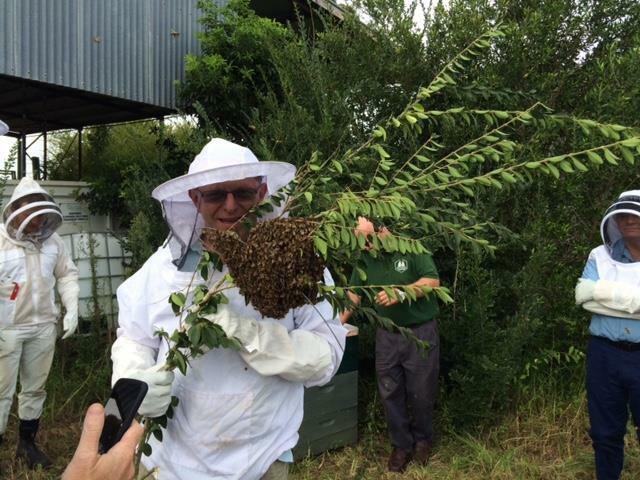 Dave has a number of hives on site and discusses seasonal management, disease management and what to look for at different times of the year. ​The Small Farms Network in partnership with the Shoalhaven Beekeepers Association run a 2-day workshop with Bruce White, former NSW DPI Agriculture Bee Extension Officer in Berry. 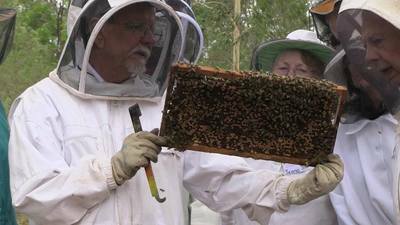 Learn how to set up and manage your hives in the backyard, extract honey and seasonal management tips. 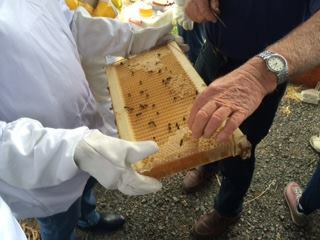 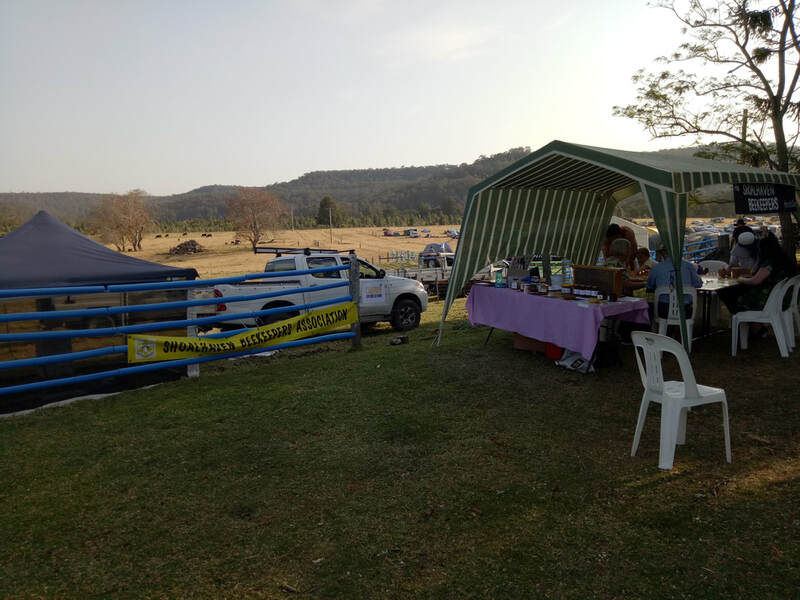 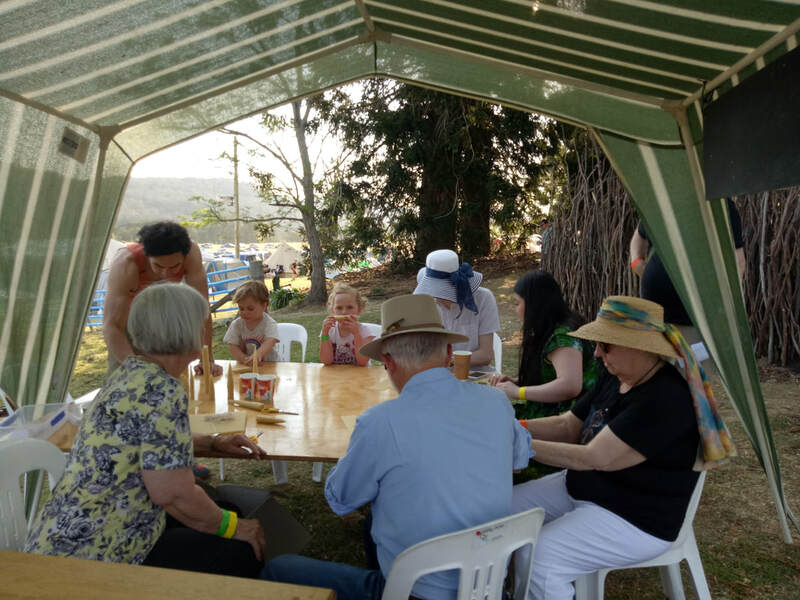 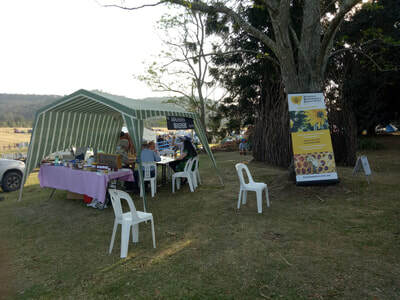 The Shoalhaven Beekeepers Association attends the annual Berry Small Farms Field Day at the Berry Showground in September. 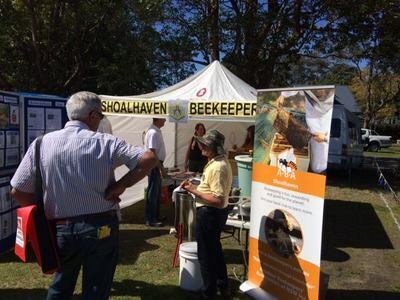 The 2-day event is a great opportunity to promote good beekeeping practices, educate the public on the importance of bee's to agriculture and biosecurity management. 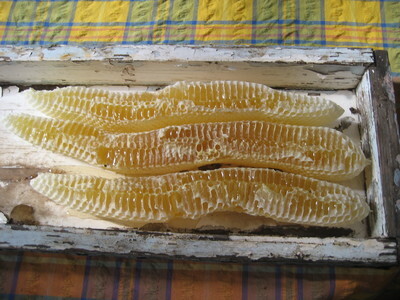 The purpose of the workshop is to assist members who want to set up hives in spring. 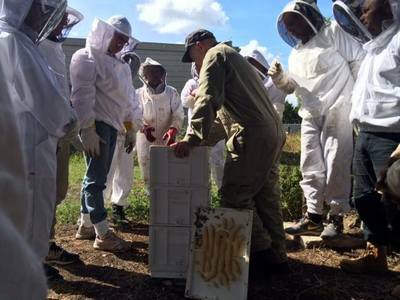 It is aimed at new members who need hives and also for existing members who want to expand the number of hives or size of existing hives. We will be building boxes and frames including the wiring and fitting of foundation. 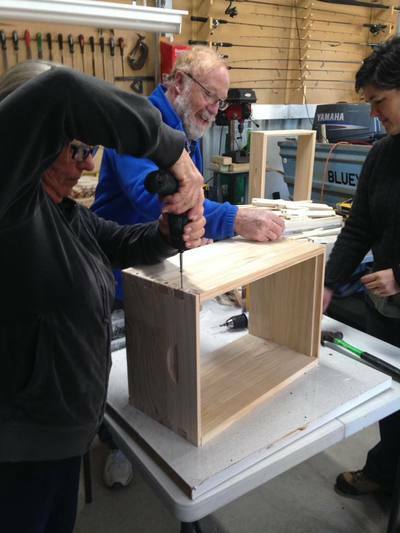 Also, we will be able to assemble lids and bases. 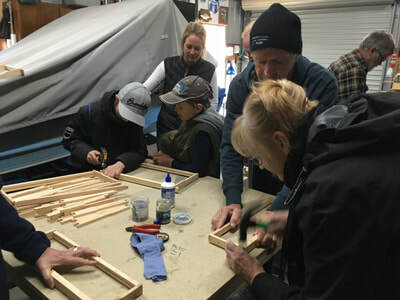 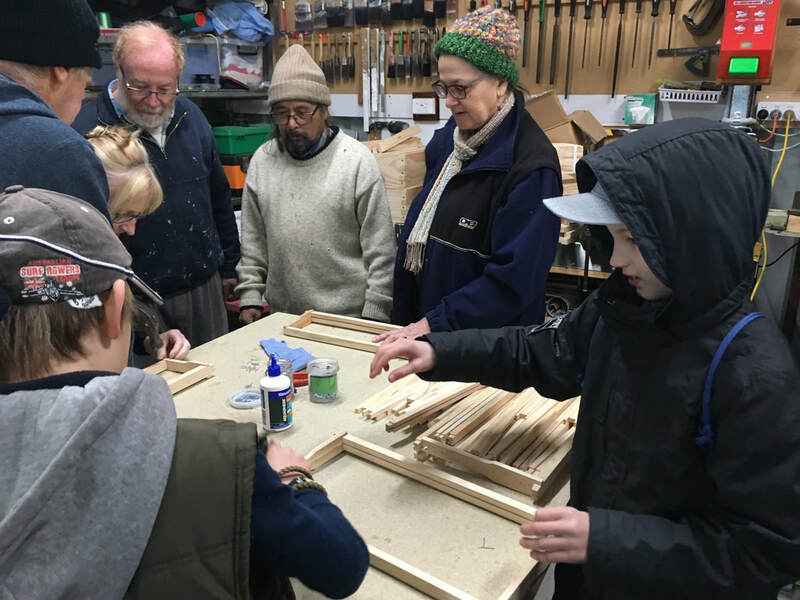 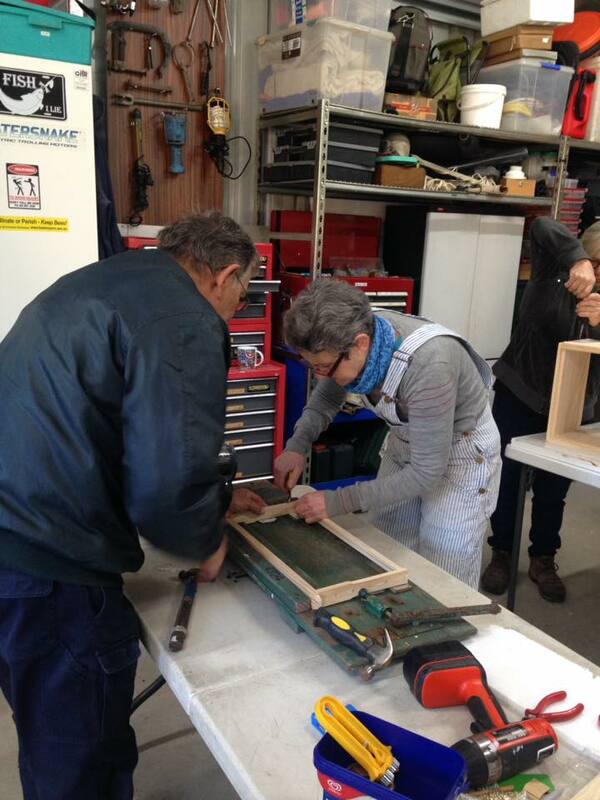 This workshop will be able to be used by those members who may have enough boxes but would like to build spare frames. 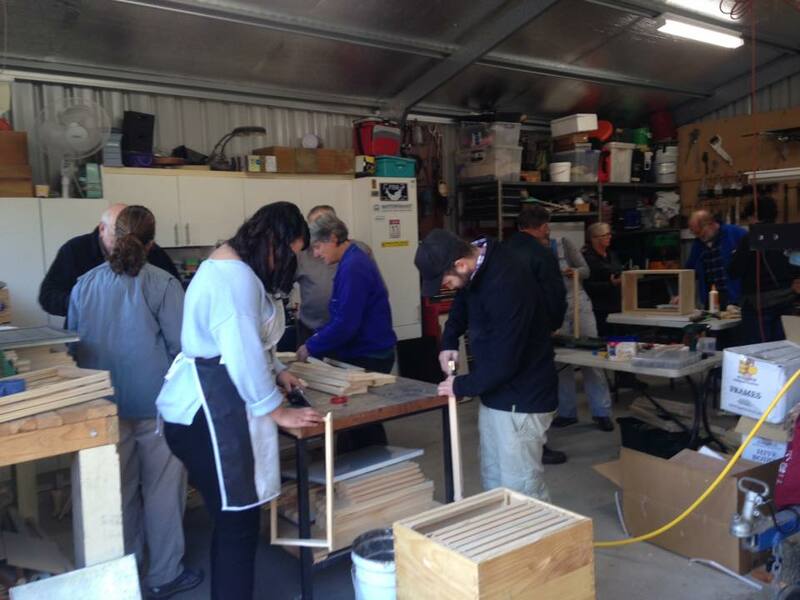 Cost: Price of materials ie Box, Frames and Foundation. 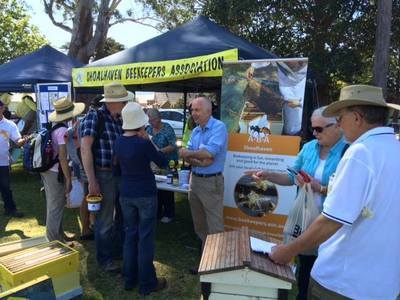 Glue, screws and wire will be provided by Shoalhaven Beekeepers Assoc. ​The Small Farms Network in partnership with the Shoalhaven Beekeepers Association run a 1 day workshop with Bruce White, former NSW DPI Agriculture Bee Extension Officer in Berry. Learn how to set up and manage your new flow hive, extract honey and management tips to ensure it works. The Bundanon Trust held a major event called Siteworks, an art/science event with this year's theme, "The Birds and The Bees". 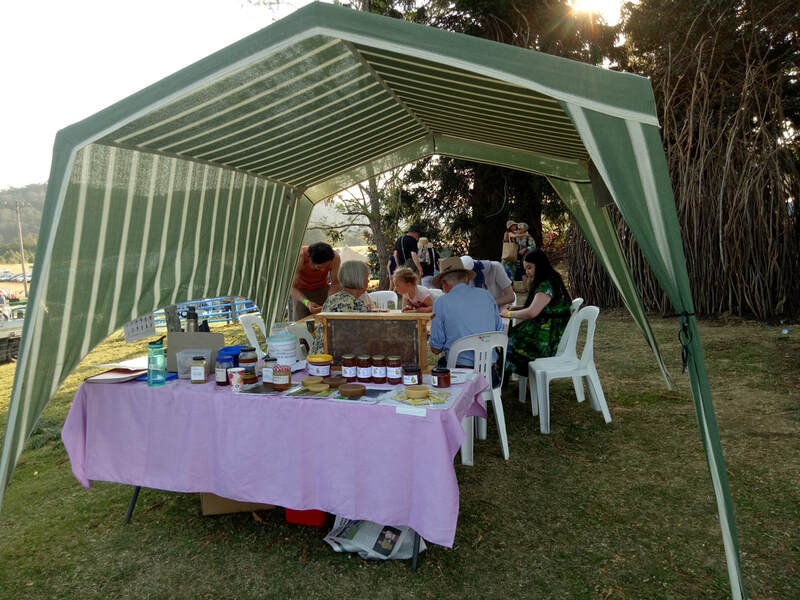 SBKA was invited to have a stall and participate in talks, demos, etc. 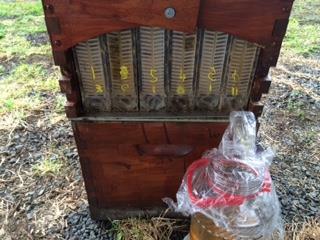 and we accepted. 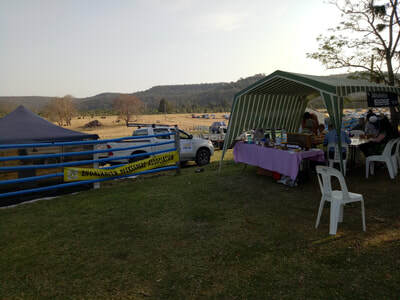 Here are some pictures of the event, shared by member Ron. Thanks to all members who gave their time to allow SBKA to participate. 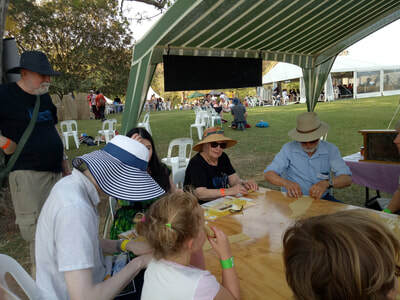 Cost: in 2017 members were offered Free entry to the event. 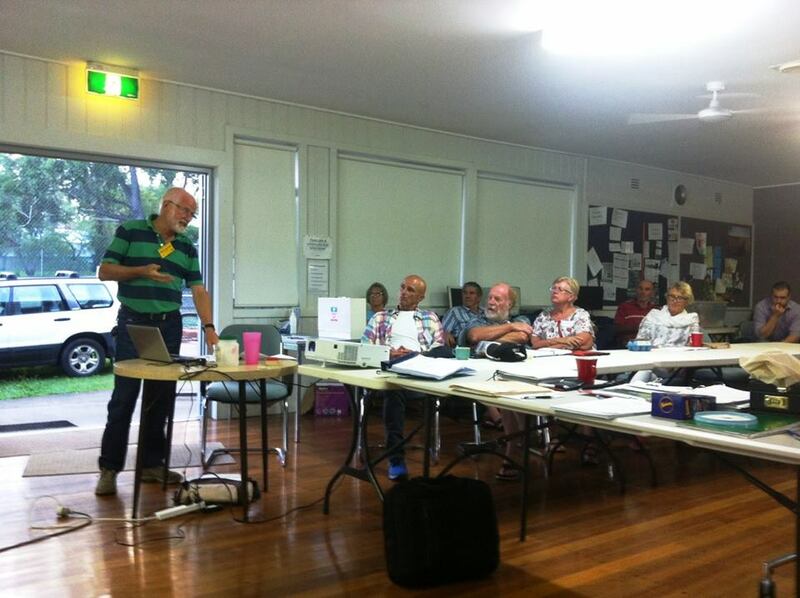 Did you know that at our monthly General Meetings we often have guest speakers? 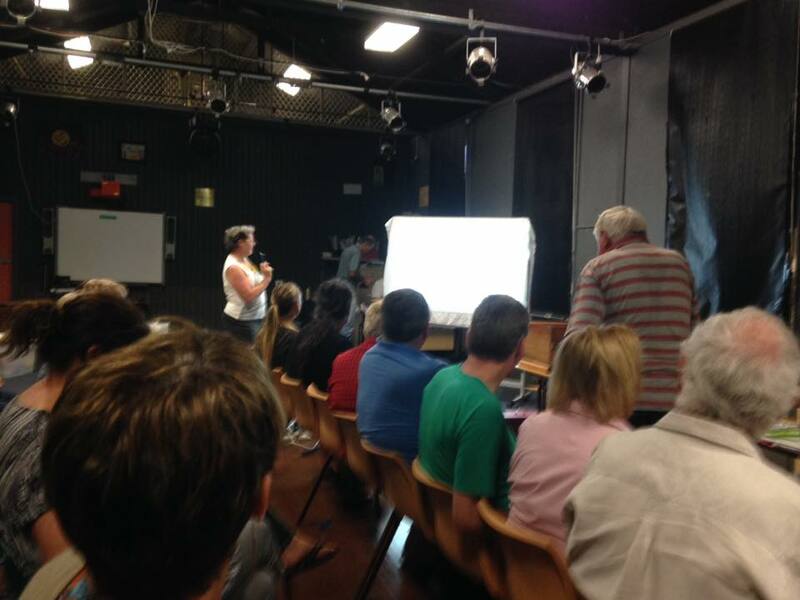 Our meetings are held third Wednesday of the month within the grounds of Shoalhaven High School. 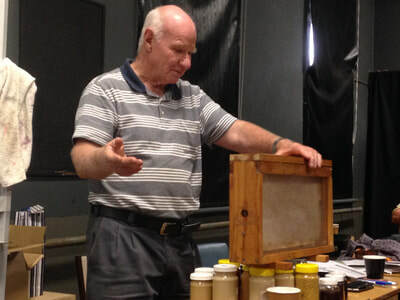 Here are some of our past speakers from 2017. 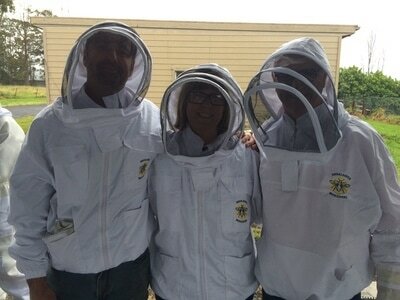 Left to right: Brian Warnest on Asian Bees and Varroa Mite; Bob McCarron on Anaphylaxis; Susanne May on Kenyan Top Bar Hive; and Bruce White on Showing Bee Products (Honey, Wax, Pollen etc.). 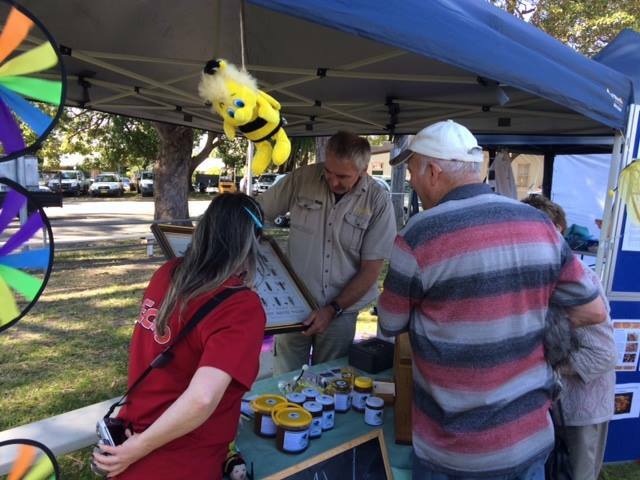 The Berry Merry Christmas Parade in 2017 was a chance for Shoalhaven Beekeepers Association to increase awareness of our Association and bees in the local community. 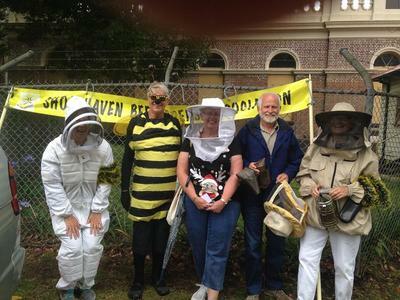 Several members turned up to march in the parade. 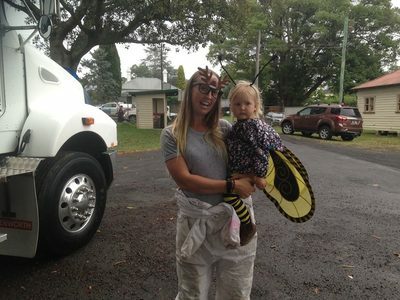 It was a lot of fun and the rain stayed away for the actual parade!! 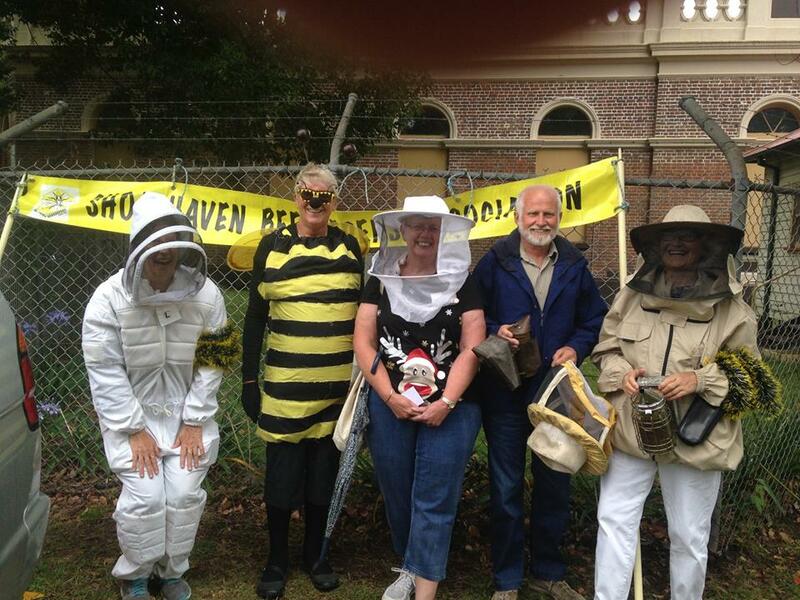 They marched and were cheered by many watching on the sidelines. 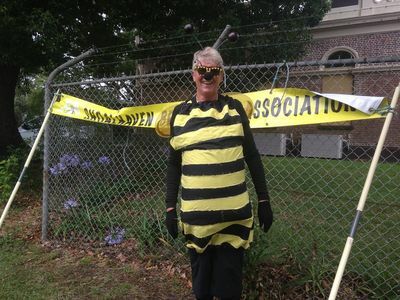 After the parade, they walked along Queen Street handing out some info about the club and talked to quite a few interested people, some with swarms and a couple who know people setting up hives at the moment. A special thank you to our very lovely Queen Bee, Sarah, who drew lots of attention!